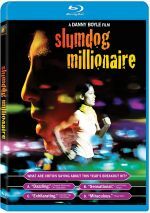 Back in 2008, Dev Patel made his first cinematic splash via the Oscar-winning Slumdog Millionaire. Nearly a decade later, he takes the lead in another acclaimed drama, 2016�s Lion. Part of an impoverished Indian family, five-year-old Saroo Munshi (Sunny Pawar) falls asleep on a train and finds himself far from home. He winds up in Calcutta, hundreds of miles from his family. Due to his youth, Saroo finds himself unable to give enough personal information to send him back to his clan. As such, he winds up in an orphanage, and he eventually gets adopted by John (David Wenham) and Sue Brierly (Nicole Kidman), a couple who take Saroo to live with them in Australia. 25 years later, Saroo (Patel) finds himself curious about his past. Though eager to prevent emotional harm to his adopted family, Saroo decides to seek out his biological clan, and he uses a variety of methods as part of this improbable quest. Every year, I attempt to see all of the Oscar Best Picture nominees. Of course, since the Academy expanded past their old limit of five picks back in 2009, this became more of a challenge, as I now need to watch up to 10 choices each year. Of the nine 2016 nominees, Lion became the hardest sell for me. Not that I thought the movie looked terrible, but it simply didn�t do a lot to appeal to me, so it became the only 2016 Oscar Best Picture option I didn�t watch prior to the ceremony. Now that I�ve seen Lion, I can�t claim I regret my choice to wait to view it on Blu-ray, but I did like the flick more than anticipated � especially during its well-realized first half. The 1980s segments use much more of the running time than I expected, as I figured that we�d spend a token amount of time with �young Saroo� before the meat of the story focused on the adult version. That didn�t occur, as Lion split the narrative nearly down the middle. We don�t meet �adult Saroo� until 53 minutes into the movie, so we spend almost half of the flick with the childhood character. This works surprisingly well because Lion paints young Saroo as a more interesting character than I anticipated, and Pawar deserves a lot of credit for that. I got the impression the little kid �actors� in Slumdog were cast due to cuteness and nothing else, but Pawar actually pulls off the role�s challenges well. Pawar makes young Saroo more fleshed out than I figured would be the case, and he helps add emotional impact to the story. Heck, I can�t even accuse the filmmakers of �cuteifying� Saroo � we see pictures of the real child at the movie�s end, and he looked a whole lot like Pawar. As we also see, Patel looks nothing like grown-up Saroo, but that doesn�t cause concerns. 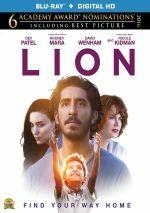 More problematic, however, is the way Lion becomes a bit of a chore to watch during its �adult Saroo� half, as the movie tends to lose its way. The inherent problem stems from the nature of Saroo�s quest. This essentially becomes a story about a guy who searches the Internet, so Lion tries to find creative ways to complicate the narrative � an hour of �move cursor, click, move cursor, click� wouldn�t be very interesting. Unfortunately, the end result isn�t that compelling either, mainly because little really happens. We get a lot of shots of Patel as he looks haunted and disheveled, but the film fails to explore adult Saroo or any of the others to a satisfying degree. Which seems like a shame, for the 1980s half works so well. Not only does Lion explore the existence of young Saroo in a compelling way, but also it creates a powerful depiction of the abject poverty in which he and others lived. During the end credits, a graphic tells us that 80,000 Indian children go missing each year, and Lion makes you feel the despair of that circumstance. When Saroo pleads for assistance, the utter indifference shown by adults seems shocking, and Lion doesn�t sugarcoat this. That side of the movie brings power to the experience. I just wish the second half of Lion maintained the same level of drama. While we still get some effective moments along the way, this remains an inconsistent movie. It works well enough for a moderate recommendation but its largely unfocused second hour harms it. Lion appears in an aspect ratio of approximately 2.40:1 on this Blu-ray Disc. This became a largely satisfying presentation. My biggest concern related to low-light shots, as those tended to appear somewhat too bright. These images lacked great darkness and could seem a bit on the �blown-out side�. This impacted blacks, which occasionally looked inky. Still, I suspect that was a stylistic choice, and the rest of the image worked well. Sharpness seemed positive, as only a sliver of softness ever crept into the visuals. I saw no shimmering or jagged edges, and edge haloes remained absent. The transfer lacked print flaws, and colors were fine. The film opted for a fairly amber palette, with elements of teal as well, and the Blu-ray conveyed the hues appropriately. Ultimately, this was a mostly good image. I didn�t expect much from the film�s DTS-HD MA 5.1 soundtrack, but the mix opened up better than anticipated. While the movie lacked any obvious �showy scenes�, it used environmental information in a surprisingly vivid manner. This came out best during scenes on trains or planes, and seaside sequences brought out a good sense of place. General ambience also connected well, especially during street shots, where the mix captured the bustle of the Indian locations in a compelling manner. Audio quality worked fine. Music showed lush, full qualities and speech appeared natural and crisp. Effects boasted good range, with clean highs and rich low-end. This was a solid track for a character film. As for the song itself, it�s a mildly Indian-inflected pop track that�s perfectly, wholly okay. It�s not a terrible tune but it does little for me. Three Deleted Scenes fill a total of four minutes, 36 seconds. We see �Dance Party� (1:29), �Panic Attack� (1:38) and �Saroo In the Lake� (1:29). All three focus on �adult Saroo� � and all three seem forgettable at best. We also find a Behind the Scenes Gallery. I thought this would feature photos, but instead, it presents five featurettes. We find �A Conversation with Saroo Brierly� (7:49), �Dev Patel� (3:24), �Nicole Kidman� (3:09), �Director Garth Davis� (3:37) and �Making the Music� (4:17). Across these, we get comments from director Garth Davis, the real Saroo Brierly, producer Iain Canning, composers Dustin O�Halloran and Hauschka, and actors Dev Patel, Nicole Kidman and Rooney Mara. The clips cover the real events behind the film as well as story/character areas, cast and performances, and music. Brierly�s memories are good, but the rest tends to be promotional fluff. The disc opens with ads for The Founder and La La Land. No trailer for Lion appears here. Half of an engaging film, Lion fares best when it looks at the younger version of its main character. Though the rest comes with an emotional conclusion, the second hour tends to meander. The Blu-ray offers mainly good picture and audio but it lacks a strong roster of supplements. Despite some draggy parts, Lion offers an involving drama at its best.